Agua is yet another successful addition to the city's finest eateries by the restaurant group Tragaluz. 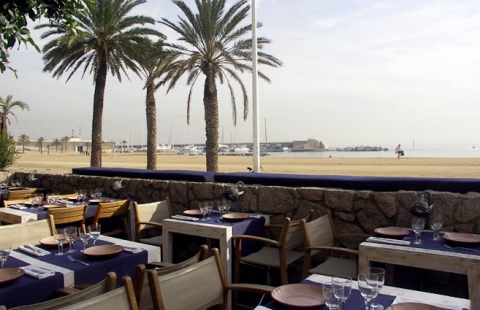 It has become one of Barcelona's most popular seaside restaurants thanks to its perfect location and quality Mediterranean cuisine. The highlight is its beautiful beachfront terrace right on the boardwalk, but its sunny Colonial style interior is also very inviting. There is almost always a long waiting list for a table so book in advance.